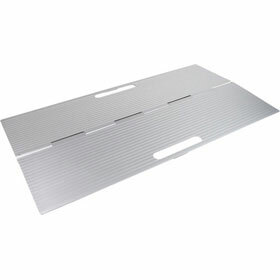 Ribbed surface ramps are new version of our well known foldable ramps. 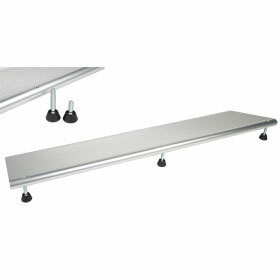 They have new rolling surface, made of ribbed aluminium. 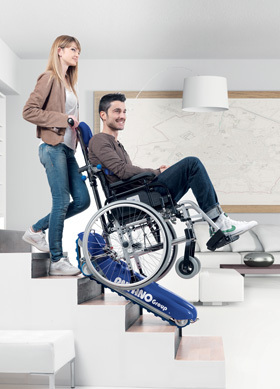 Thanks to that they offer even better tracktion and (specially) easy maintanence and cleaning. 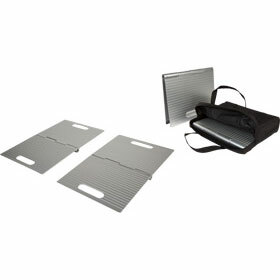 They are single folding cases available in 2 sizes. 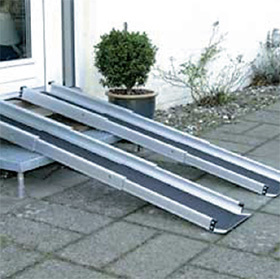 Aluminum, doorstep ramps are easy solution to overcome thresholds which are up to 7 cm high, in your living or working area. 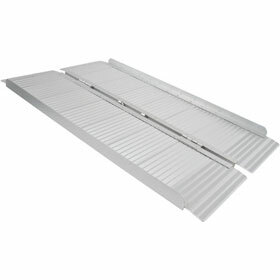 It is enough to place them over the threshold, covering it. 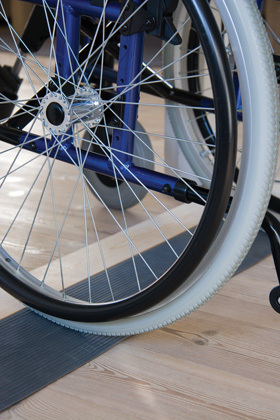 That helps to roll over the obstacle easily with a wheelchair or rollator. 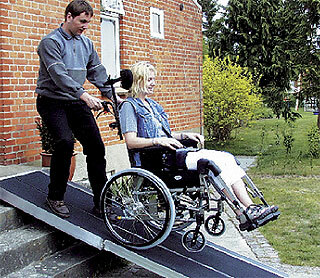 Ramps have very high approved max. load: 350 kg.